"The primary task of the brain is to help maintain the whole body in an optimal state relative to the environment, in order to maximize the chances of survival. The brain does this by registering stimuli and then responding by generating actions. In the process, it also generates subjective experience" (Carter, 2009, p. 38). 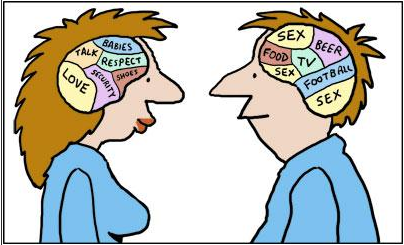 Sources of brain stimuli: sensations, perceptions, emotions (Carter, 2009, p. 39 "Thoughts"). "The signals that travel along the spinal chord are known as nerve impulses" (Cater, 2009, p.42).